One thing contact center managers can count on is that call volume will fluctuate. Much of that is predictable, thanks to ever-improving forecasting tools. But, what if the business frequently receives large influxes of calls? What can you do so that your operation can continue to run efficiently? 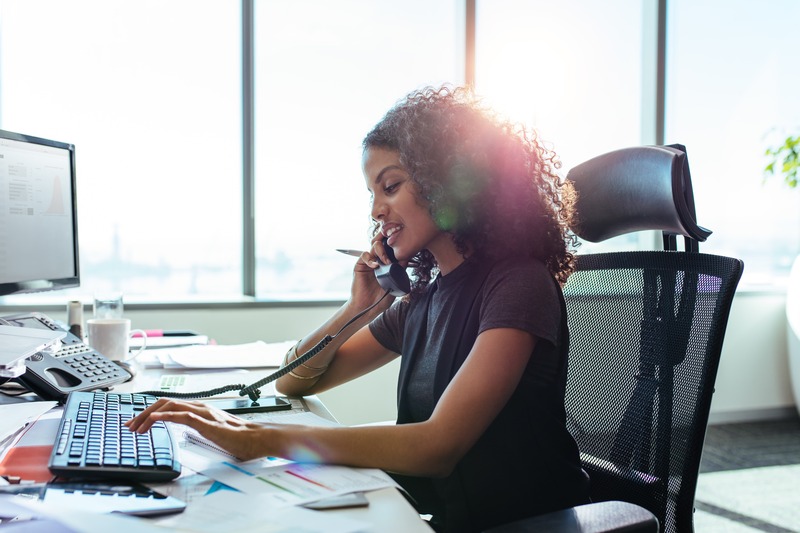 Outsourcing to a third-party contact center is one great option (Contact The Connection if you're interested in outsourcing). So is hiring more employees to handle the increased call volume. But if these options are not going to fit in your budget or timeline and you need some short-term wins for your customers now, here are some more affordable, out-of-the-box alternatives to handle (or avert) an increase in call volume. All too often, problems caused by sudden increases in call volume are self-inflicted. For instance, the Marketing Department decides to launch a new promotion but neglects to inform the folks in Operations. Oops! With no chance to prepare, the contact center is left understaffed, unable to handle the onslaught of additional calls efficiently. Customers who were excited about the promotion are now irritated by the poor service. Recommendation: Keep the lines of communication open between the contact center and other departments within the company, especially Marketing and Communications. If there are inventory issues — say, a product is backordered — let customers know right away with an automated email. For example, we consulted for a client who informed us that they had far more incoming calls than their agents could respond to. After digging into their calls, we discovered that 60% of their inbound calls were from customers wanting to know the status of their order. “Where is my package?” By sending automated emails explaining the status of each order, the company was able to reduce inbound calls by 60%. And concerning those emails: A best practice is to include a link that allows customers to check their order status, and to see when the item will be available. But automated emails are not the only way to satisfy customer curiosity. Questions can also be answered via the company website or web chat. Answering customer questions before they pick up the phone is a huge step toward avoiding unforeseen peaks in calls. At the end of the day, the quicker questions are answered — no matter what channel — the better the customer experience. And remember, the customer probably went to the website to find the phone number. Try and satisfy their need while they are online, before they pick up the phone to handle things in a much more expensive fashion. This is low-hanging fruit for many companies because autoship is a solid money-maker — if it meets customer needs. Contact centers receive thousands of calls from people who simply want to adjust their auto-ship schedule. Instead of handling all those calls, modify your CRW to allow customers to change auto-shipping schedules online. You will save… a lot! If a product is defective or is causing a reaction (i.e., a skin care product), this will generate a spike in call volumes. Rather than having agents repeat the same FAQs over and over, use Interactive Voice Response (IVR) to let people know the problem is being addressed. Offer a refund, if that seems appropriate. No matter how well we plan our contact center needs, not everything is predictable. It is best to always maintain extra headcount. Not only will extra CSRs be helpful in the event of increased call volume, but they can step in when a scheduled employee cannot make it to work. Although all of these solutions — communications, auto-ship schedules, automated emails, websites, web chat, IVR and extra CSRs — can individually alleviate contact center stress due to an increase in call volume, using them together is the best way to avoid any unforeseen surprises. Or at least be prepared when one does arise. And while these tactics will help you manage or prevent an explosion in inbound call volume, they're not a forever fix for call center frustrations. Contact The Connection to discover how affordable it really can be to work with an omni-channel contact center that can help you scale your business using the best technology and agents.